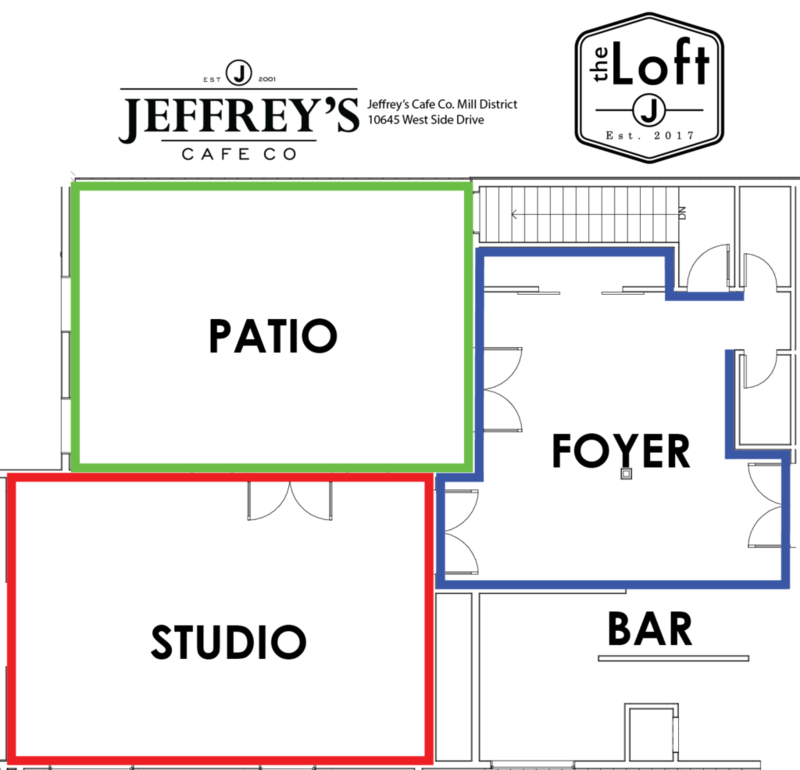 The Loft-at Mill District|Jeffrey's Cafe Co.
60-64 guests, however we recommend no more than 56 seated guests. Price for buffet style service. Gratuity and GST are additional costs. Price for buffet style service. Gratuity, and GST are additional costs. We are pleased to offer a dedicated team of staff for all functions booked at the Loft. We require a minimum spend of $300 for all cash bars or there will be an hourly charge of $45/bartender. For open bars or subsidized bars, we also require a minimum of $300, or an hourly charge of $45/bartender will apply. Our bar selections include the same variety you will find at our Mill District location downstairs, including a selection of local and international beer, wine and spirits, along with all the traditional mix and garnishes. You can also order wines by the bottle for all events. Please inquire with our catering department for more details on available wines.